On Saturday, May 27, and Tuesday, May 30, in West Hartford at Conard High, the Morgan Boys Tennis team competed in States. 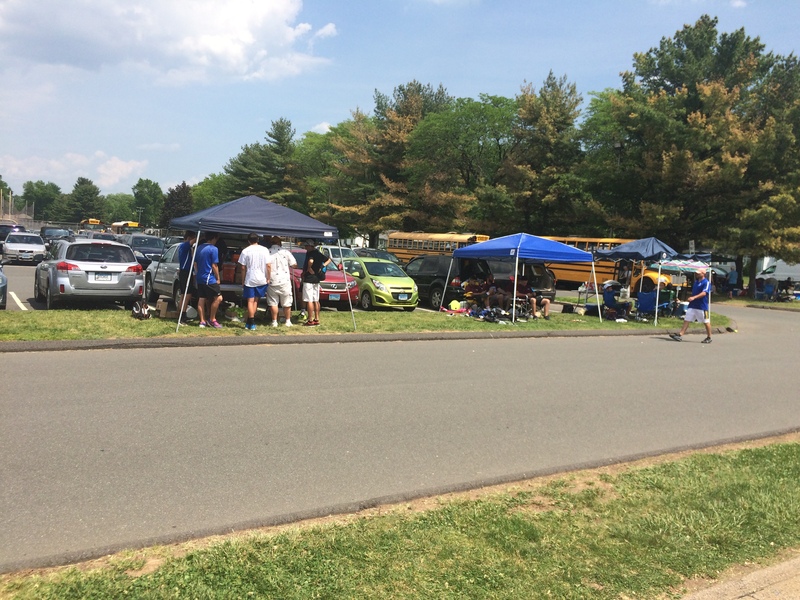 Nine members of the team made it to the tournament to compete with varsity tennis players from all around Connecticut. The highest seeding players were Senior Sam Moran and Junior Matt Newfield who played as a doubles team and made it to the Semi-Finals of the tournament. At the start of the first day of the tournament, round one for the singles players began. During that round, Garret lost his match and Vincent was eliminated. After that, the doubles teams had their first round. All three doubles entries from Morgan either won their matches or got a bye. In round two for the singles players, Patrick lost his match 6-3 7-5. In round two for doubles, Drew and Sean lost their match 6-0 6-1 and were eliminated. Paddy and Chris won theirs after losing their first set and winning their second, then winning a 10 point tiebreaker. Sam and Matt were set to return on Tuesday to continue their competition in the tournament. On Tuesday, Paddy and Chris were eliminated in the third round, losing their match 6-4 6-3. Sam and Matt won their match in the third round 6-7(3-7), 6-2, 10-6 and won their next match in the quarterfinals 7-6(7-5), 6-4. Sam and Matt lost their match in the semi-finals 6-3 6-1. Last year, a doubles team had made it to the quarterfinals of the tournament. Sam and Matt making it to the semifinals was remarkable. Tennis Coach Christopher Zawadski said, “They played really well, especially seeing how they never played doubles before this tournament.” Sam and Matt are singles players, so they had to adapt to playing doubles in little time. For next year, Coach Zawadski believes the team will be in a great position. The team is only losing the number 1 singles player, Sam. Other teams could be losing three, four, five, or even more varsity players. Our more experienced players will be playing far less experienced ones from other towns, which would be great for the team. Given this year’s performance and the lineup for next year, you can expect that the boys tennis team will do even better in the next tournament.